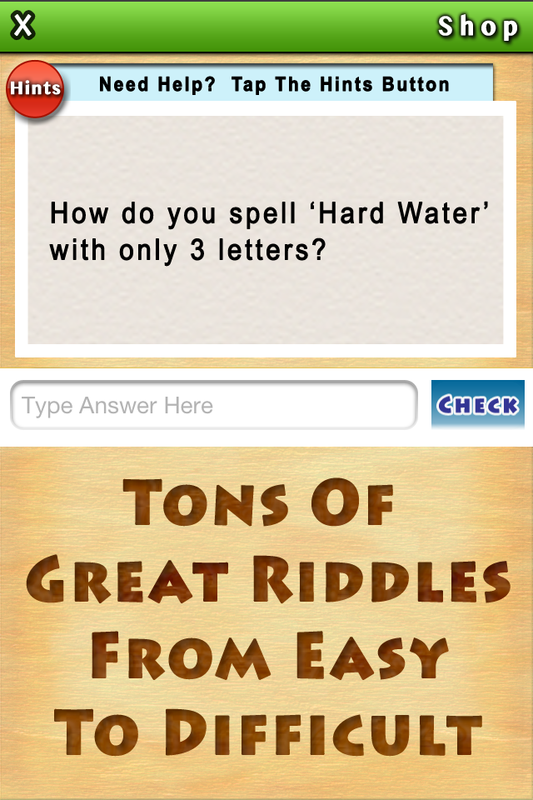 Challenge your wits with these short but puzzling mind-benders All levels from easy to really tricky Big App Of Little Riddles is the new puzzle game that will keep you entertained for hours! Need Help? Reveal letters or show the number of letters to help you along the way. Top the leaderboards and earn achievements!